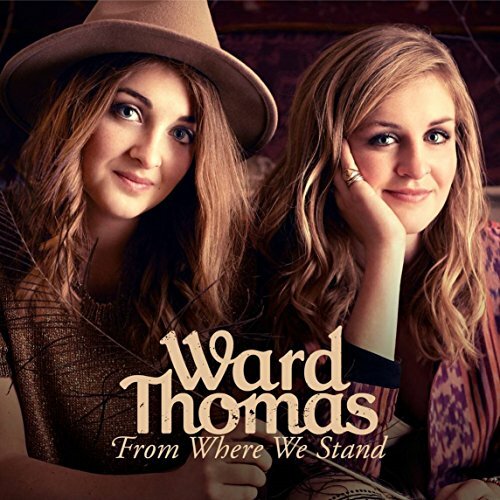 Ward Thomas - From Where We Stand. At the time of writing the top slot on the UK Country chart is held by Ward Thomas. The interesting, and surprising, thing about this is Ward Thomas is Catherine and Lizzy Ward Thomas, 20 year old sisters from Hampshire. With the renewed interest in the genre due to the hit TV show ‘Nashville’ and with the Country2Country festival bringing top USA acts to the UK it would seem to be an opportune time for UK acts to make a dash for the spotlight. Hopefully Ward Thomas will be one of many acts to strike whilst the iron is hot. The duo have recently released their first album, recorded in Nashville with top session players including Chris Rodriguez (Keith Urban, Faith Hill), Dan Dugmore (Linda Ronstadt, James Taylor etc.) and Bobby Blazier. The cool thing is you might take the girls to Nashville but the end result still has a hometown feel. The closing foot tapper ‘Town Called Ugley’ is a great example as the girls reference ‘Cotton Pickin’ and ‘the Old Kings Head’ in the same song. The twelve songs here are all, obviously, well played and produced with a nice range of styles from the bouncy opener ‘Push For The Stride’ to the ballad ‘From Where I Stand’ which features some really nice guitar work as does ‘Take That Train’ which reminds me of The Allman Brothers ‘Jessica’. At the end of the day the whole album is held together by the lovely harmonies of the two girls as their voices effortlessly merge and complement each other. To sum up if you’re on the lookout for a traditional Country album with a nice pop edge that you can relate to while stuck in traffic on the M25, as opposed to cruising down the USA highway, then this is a good place to go. The duo have just completed a UK tour but are out again later this year with follow Brit act The Shires.